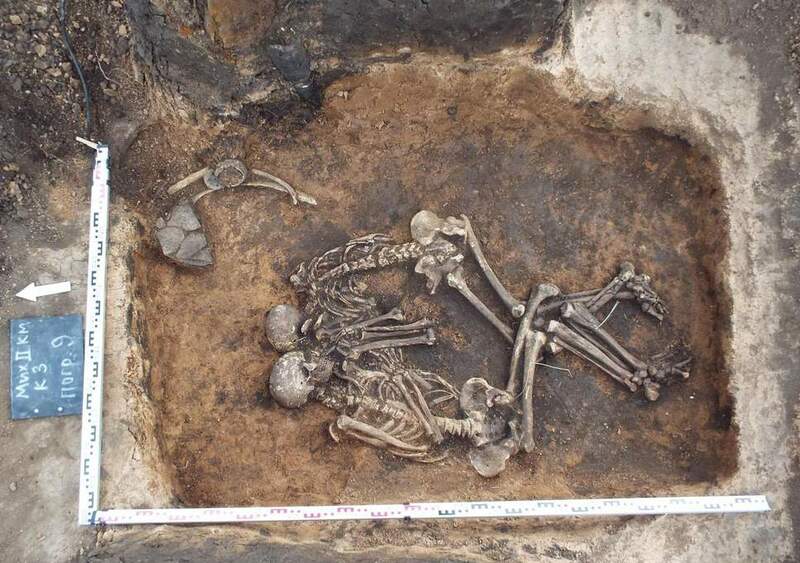 The large population decrease of European Neolithic farming communities had always been a mystery up until a group of researchers discovered a strain of plague found in a the genetic material of a woman in a rural farming area of 5000 years ago. Another person buried near her also had traces of the strain of plague. Based on the fact that this plague had reached Northern Europe earlier than the Eurasian migrants (how people originally believed it reached the area), scientists now believe that it developed in the communities by poor sanitation, too many people and animals. Trade routes allowed for the disease to spread amongst Europe. Once the Neolithic communities were wiped out, it allowed for the Eurasian migrants to spread out amongst Europe and this changed the genetic makeup of the continent. After these discoveries, scientists recreated the genome of the ancient plague to dive deeper into how diseases can spread, and how they can disappear or stay prominent.